Tackling our neighborhood carbon emissions through projects related to waste reduction, energy conservation, storm water management, gardens and trees. In Spring 2015, the ECCO Board supported the planting of nearly 50 organic cherry trees throughout the neighborhood. Neighbors paid $10 for each tree. ECCO covered the rest of the expenses including providing an educational program on how to manage cherry trees without pesticides, and advice on planting. As our trees grow, we hope to start an annual, fall Cherry Festival. To learn more about the types of cherry trees, please click here. A valuable resource for all: There are hundreds of sustainable green businesses and organizations in Minnesota listed in the Do It Green! Directory . The directory can be searched online, in print or downloaded. The organizations and businesses that appear in the Do It Green! Directory have passed a criteria created by the Do It Green! Minnesota Team. The purpose of Do It Green! Minnesota (formerly The Twin Cities Green Guide) is to educate Minnesotans about green and sustainable living and promote building healthy local communities. Print copies can also be picked up at the Do It Green! Resource Center and have been distributed at some of the food co-ops, independent bookstores, and other green businesses and local libraries throughout Minnesota. Eureka Recycling is a zero-waste organization located in the Twin Cities. One of their initiatives is a new website called www.MakeDirtNotWaste.org. This site features many ideas to help us reduce food waste and save money. Their new A-Z Food Storage guide is a good place to start, it is filled with tips for storing food successfully so that it lasts longer and gets wasted less. As you know, ECCO is one of the fortunate neighborhoods who already have curbside organics composting available. This means that once you sign up, any organics from your home can be put into your green cart for pickup on the same day as trash. BUT, did you know that where you eat out also matters? You can further help reduce organic wastes by eating at restaurants in the Twin Cities that work with Eureka Recycling to turn their food waste into nutrient-rich compost. In 2013 alone, the project's 50 partnering businesses composted a total of 1,619,000 pounds of material. We are fortunate to have a number of participating restaurants right in our own backyard! 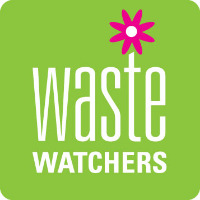 For a complete list of restaurants that are “making dirt, not waste” please visit makedirtnotwaste.org/eating-out. If you have not yet signed up for your own green cart and/or are looking for answers to questions or tips about how to collect organics in your home please visit www.minneapolismn.gov/solid-waste/organics. What to keep in mind this winter. Our neighborhood is an active and vibrant place, even during the dark, cold days of winter. Despite the cold temperatures, snow and ice, people cross -country ski, snow shoe, run, and walk their dogs. However, there is always the risk of injury due to a fall. In order to stay active safely it is important that all homeowners shovel the walkway in front on their residences. Shoveling is the best line of defense when it comes to preventing an icy buildup on the sidewalks. However, at times it is also necessary to use de-icers such as salt. While salt does a great job of melting ice and snow, it is bad news for pets, the environment and our gardens. Pets get salt in their paws and literally stop walking because the salt cuts their paws. In addition, salt corrodes metal, damages concrete, and wreaks havoc on our lawns and gardens by killing the roots of plants and making it impossible for them to absorb nutrients. In the spring, when the snow and ice melt, the salt runs into our waterways adversely affecting water quality and wildlife. Some alternatives to salt are cat litter, sand, crushed granite and light gravel. These can be used alone for traction only, or in combination with salt. Another option is to use just enough salt to loosen the ice and then manually remove the ice with a shovel. Safe Paw Ice Melter is pet friendly and safe for the environment. All of these products can be found at pet and hardware stores. As we feast, share gifts, decorate and travel during the holiday season, we also consume lots of resources and generate lots of waste. The amount of household garbage in the United States can increase by 25 percent between Thanksgiving and New Year's Day, from 4 million tons to 5 million tons – and in the U.S., annual trash from gift-wrap and shopping bags totals about 4 million tons! Turn off or unplug holiday lights during the day. Doing so will not only save energy, but will also help your lights last longer. Think "green" while shopping. Try to buy items with minimal packaging and/or made with recycled content. Check product labels to determine an item's recyclability and whether it is made from recycled materials. Also, remember to bring your own reusable bag into the store to carry your purchases. Consider substituting postcards for cards that require envelopes. Reuse the fronts of old holiday cards as gift tags. Dehydrate various fruits like apples, oranges, and pears in your oven. Hang them on your Christmas tree with raffia along with popcorn and cranberries. After Christmas, hang all of it on the trees outside for the birds. The Recycling Association of Minnesota is again sponsoring Recycle Your Holidays! You can drop off your old tangled and broken holiday lights at any participating location during the holiday season. About those lights . . . did you know that the average Minnesota home can save between $10 to $250 each holiday season by switching to LED holiday lighting? When you replace those old lights, try some LEDs this year. For every old holiday lighting string recycled and replaced with more efficient LED holiday lighting, 19 kilowatt-hours of electricity are saved over the course of the holiday season. This is the same amount of energy as a common CFL household light bulb would use if left on for 24 hours a day for 2 months straight!